2. You have the type of personality — warm, caring and extroverted — that makes it easy to ask for referrals. Got you on the last one, “extroverted”, didn’t I? Most dentists ARE warm and caring, but only a small fraction are extroverted enough to easily ask patients for referrals. That’s why we developed our 4-Phase Internal Dental Marketing & Communications Program. It’s designed to add up to 10 additional new patients a month to your practice… and many doctors do much better than that! You’ll receive the exact verbal scripting for you and your team on how to ask for a referral, and even more importantly…. how to customize it to your natural verbal style. How to use the 4 primary psychological triggers to get people to respond favorably – every time you ask for a referral. How to use the power of a “Token Offer” with your internal marketing and why you can’t “buy” new patients. Learn how to tailor your token offer to the socioeconomic class of your patient and when absolutely not to make an offer. Understanding the power of repetition marketing and how it will continue to build your internal marketing response rates. How to use Completion of Treatment Letters to boost your referral response. Get the Two Most Important Post Scripts – P.S.s in dental marketing that can help double your referrals from every letter you send to a patient. Understand the power of quarterly communications… And, just exactly what to say and how to say it to get the best results at the lowest cost. Learn the inside secret to generating a whole new source of dental referrals by adjusting your Thank You Gift Certificate. Why most dental marketing programs fail and how yours can be the exception. How to calculate your ROI (Return on Investment) from your 4-Phase Internal Marketing & Communications Program and double it the next year! Five Free Bonuses Worth over $600! 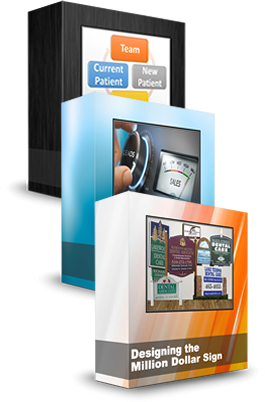 Bonus 1 – Over 60 Customizable Patient Communication Letters, pre-written for maximum impact on almost every aspect of patient communications. These letters are downloadable for immediate printout. They’re in digital format, so there’s no retyping needed for integration with your computer system. Bonus 3 – A special set of “Team Notes” to help you better train and integrate the program into your office systems. Bonus 4 – Sample “Completion of Treatment” letters for your patients that allow you to start the program immediately. Bonus 5 – Multiple “Quarterly Communications Letters” to adapt to your style of practice and keep in regular contact with your existing patients. PLUS… – Downloadable printout of the complete written transcript of the tutorial to review at any time, downloadable printout of the full slide show, and downloadable audio version of the complete tutorial so that you can play in your car. The entire 4-Phase Internal Marketing & Communications Program, with full online video tutorial valued at $1,000 and all five (5) FREE Bonuses, is just $98! The Wealthy Dentist keeps its word. Since 1985 I’ve been giving no-hype dental marketing and practice management information that can help you attract more patients and better run your practice. 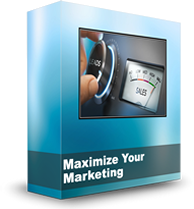 The entire Maximize Your Marketing lesson, valued at $1,000, with full online video tutorial and all five (5) FREE Bonuses, is only $498 $98! To tell the truth, I’ve given this dental sign lecture at least 200 times, and I’m getting tired of repeating myself – probably along the lines of how you feel about telling patients to floss and brush. So I decided to put the whole program online as a video training program with slides and a bunch of extras. I’ll even walk you through my “Stealth Signage” program on how to get high visibility in areas where signage is restricted! The nice thing is that I’ve totally updated the presentation with a whole new batch of examples (both good and bad!) of dental office signs. I even talk about site selection for a new dental office facility based on drive-by traffic flow. How to generate from 10 to 30 additional new patients a month with a well-positioned set of dental signs! The economics of dental signage and how to add $1,000,000 or more to your bottom line over the life of your office sign. How to pay for the cost of your new facility with new patients from properly positioned dental signs –Tip: don’t contract for a new facility until you’ve heard this! Learn how to position a “Monument” vs. a “Pole” dental sign and which is best. Learn exactly how big, how bright and how tasteful your sign should be. Learn the four dental sign elements you MUST have, and the the two that are optional – and how to position them and prioritize them. Learn how to negotiate with the local signage companies – Tip: they are virtually all thieves! How to use your dental office sign to “Preheat” your new patients for higher case acceptance. When, and more importantly, when not to, put your office logo on your dental signs. Learn the secret of how to protect your signage against graffiti artists and vandals. Learn how to update “Tired” signs for next to no money. How to double your new patients when you have walk-by traffic. How to turn your office windows into landmark entertainment centers promoting your dentistry. 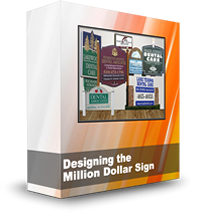 Learn why spending $40,000-plus on signage might just be the best dental marketing investment you ever made. Bonus 1 – Fifteen full-color examples of the good, the bad and the ugly in dental signs. Bonus 2 – Access to our Sign Design Gallery of the latest pictures submitted by our doctors. Bonus 3 – Downloadable MP3 audio version of the complete tutorial you play on your phone, tablet or in your car. Bonus 5 – Downloadable printout of the complete written transcript of the tutorial to review at any time. The Wealthy Dentist keeps its word. Since 1985, I’ve been giving no-hype dental marketing and practice management information that can help you attract more patients and better run your practice. Now, with the power of the Internet, we can deliver this training directly to you at home or in your office, at a fraction of the normal cost. Did you know that up to 50% of all new patients are lost at the front desk because of POOR CALL HANDLING? Over the years I have routinely seen doctors spend tens of thousands of dollars on some of the best and most sophisticated marketing strategies only to see their ROI (Return on investment) wasted by poorly-trained, poorly-organized and poorly-equipped front desk teams. Getting that high-value new patient lead is just half the battle. Converting that patient to an appointment is the other half. 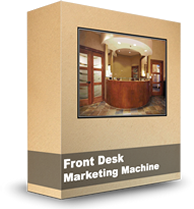 Front Desk Marketing Part 1: Creating a Front Desk Marketing Machine focuses on how patients are often won or lost at the front desk, highlighting the importance of that initial phone call. You and your team can analyze your phone answering techniques. This lesson includes sample recordings of both the good and the truly ugly side of new patient call handling. Front Desk Marketing Part 2: New Patient Phone Scripts and Examples gives you and your team step-by-step scripts for answering the phone, training examples and tools to improve front desk communications. This lesson supplies you with the actual verbiage you can use to answer new patient calls and questions. Front Desk Marketing Part 3: Organizing Your Team for Maximum Profitability explains that the key to this internal marketing strategy is following through with your team, and organizing the team in a way that encourages maximum profitability. This lesson actually lays out job descriptions for each front desk person and a sample reception area diagram. Bonus 1 – Downloadable New Patient / Emergency / Examination Telephone Control Slip that you can edit to match your style of practice. Bonus 2 – Downloadable Step-by-Step Training Guide with Verbal Skill Scripts for New Patient / Emergency callers. Bonus 3 – Downloadable Team Telephone Etiquette Guide for easy reference by your team. Bonus 4 – Downloadable PDF Team Training Handout of all 3 slide shows to use during team training. 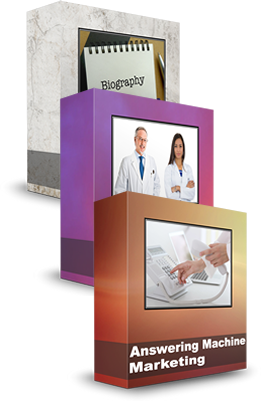 Bonus 5 – Downloadable MP3s of the audio of all videos, and downloadable printout of the complete Doctor Reference Transcriptions of the tutorial to review at any time. How many new patients can you expect? Even the best managed practices don’t convert 100% of new patient inquiries. 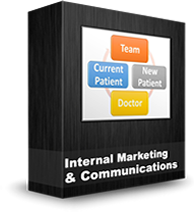 This program is designed to increase your teams conversion of calls to actual patients in your chair from 20% to 100%. The entire 3-Part Front Desk Dental Marketing Tutorial, with full online video tutorials valued at $1,000 and all five (5) FREE Bonuses, is only $498! 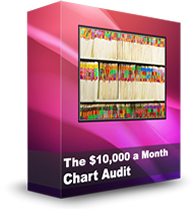 You really can net $10,000 a month from chart audits alone! This lesson will tell you all you need to know. This is one of the core modules we’ve used with management marketing for over 15 years, and it always works. It always returns your $10,000 a month in production. First of all, have you ever heard of the term “file cabinet millionaires?” These are the guys who have a million dollars plus in production sitting in their file cabinets. It’s an amazing statistic. But you’ve got money sitting in your files. And the video tutorial is going to show you how you how to get that money out of those files and into your pocket. The first one is to generate additional production to meet your goals. This is pretty straightforward. The second, is to determine the potential value of charts if you’re evaluating a practice for purchase. So if you’re going to go in and buy a practice you want to do a random chart audit on it to make sure to see what, to calculate the value of the practice. The next thing you use it for is to evaluate the diagnostic and case presentation skills of an associate. Hopefully you DO this before you hire the associate. Bonus 1 – Sample Phase One Chart Audit form for download. Bonus 2 – Sample Phase Two Chart Audit form for download. Bonus 3 – Sample Phase Three Chart Audit form for download. Bonus 4 – Downloadable printout of the complete written transcript of the tutorial to review at any time. Bonus 5 – Downloadable MP3 of the audio of the video and downloadable printout of the full slide show. The entire Chart Audit Tutorial, with full online video tutorial and all five (5) FREE Bonuses, previously $392, is now only $294! This comprehensive program includes a video lesson, brochure template, and pre-written content for your dental practice brochure. 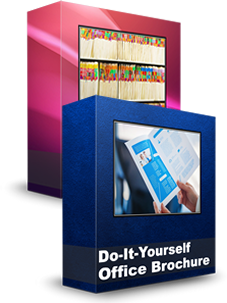 Have you ever wanted to create a do-it-yourself office brochure for your dental practice? This tutorial will show you how to do just that. You’ll get all the materials you need to build your own professional dental practice brochure – pre-designed Microsoft Word templates, bullet point brochure content, and a complete how-to video lesson. Office brochures are a powerful tool for communicating with your patients. Having brochures available in your waiting room lets both new and existing patients get to know you and your practice a little bit better. Once you’ve created the brochure, it does all the work for you! With this tutorial, creating your own professional office brochure is easy. We give you all the content you need – and a Microsoft Word template, too! Bonus 1 – Downloadable and editable Microsoft Word template for a customized 3-fold brochure. Bonus 2 – Downloadable and editable bullet point text to use in your professional office brochure. 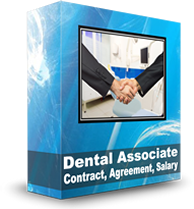 Bonus 3 – Sample dental practice brochure for you to review. Bonus 4 – Your choice of colors for your brochure, with templates available in blue, green, and teal. Bonus 5 – Downloadable MP3 of the audio of the video, downloadable printout of the full slide show, and downloadable printout of the complete written transcript of the tutorial to review at any time.. 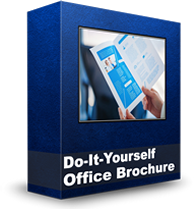 The entire Do-It-Yourself Office Brochure Tutorial, with full online video tutorial and all five (5) FREE Bonuses, only $294! Get both tutorials – The $10,000 a Month Chart Audit and DIY Office Brochure – valued at $588 – for just $68. A successful dental practice absolutely must raise fees regularly. Half of dentists don’t raise their dental fees annually! Quality treatment must be supported by fees that allow you to maintain your team, facilities and continuing education at the highest levels of which you are capable. The math is simple: When your costs increase due to inflation, you must raise fees to stay profitable! But many dentists don’t keep track, or don’t know what the right dental fees would be, or are concerned that higher fees could drive away dental patients. How should you institute dental fee increases? How do you and your team address the issue of fees with your dental patients? 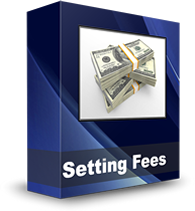 Bonus 3 – Setting Fees Article 3: How Much of a Fee Increase? The Wealthy Dentist keeps its word. Since 1985, Jim Du Molin has been giving no-hype dental marketing and practice management information that can help you attract more patients and better run your practice. Now, with the power of the Internet, we can deliver this training directly to you at home or in your office, at a fraction of the normal cost. The entire Setting Dental Fees Tutorial, valued at $398 , with full online video tutorial and all five (5) FREE Bonuses, is only $98! Good case presentation and financial arrangements are key a successful practice. Case Presentation Part 2: The Seven Steps to Case Acceptance begins at the initial phone call and ends at the final close, with are seven key steps along the way to gaining case acceptance. Three Strategy Video Tutorials consisting of six individual videos that walk you through the entire process of case presentation, case acceptance, and financial arrangements. 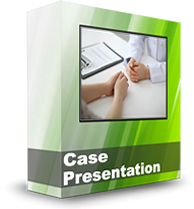 These videos guide you through the entire case presentation process, which includes the doctor’s case presentation, handing the patient off to the financial arrangements coordinator, and the practice’s financial arrangements policies. Bonus 2 – Downloadable and editable Patient Treatment Forms – with separate versions for insurance and non-insurance patients – and a Credit Card Authorization Form for patient payment. Bonus 3 – Downloadable and editable document explaining your Financial Arrangements Policies to your patients, with separate versions for insurance and non-insurance patients. Bonus 4 – Downloadable and editable Insurance Policy Letter to explain to your patients why you will no longer accept insurance as payment. Bonus 5 – Downloadable MP3s of the audio of all videos, downloadable printout of the full slide show, and downloadable printout of the complete written transcript of the tutorial to review at any time. 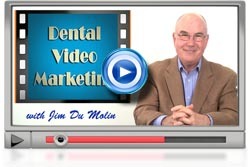 Video clips are rapidly becoming part of the successful dentist’s marketing toolbox. This tutorial teaches dentists how to film patient testimonials, doctor website videos, and more. Considering bringing in an associate to help secure your financial future? Well, don’t do it without checking out Jim Du Molin’s tutorial first! Five Free Bonuses Worth over $5,300! Hi, I’m Jim Du Molin, the owner of The Wealthy Dentist. I’ve been helping doctors with associates for nearly twenty years. We have developed a 2-Part Comprehensive Associate Analysis Program. It’s designed to introduce you to the issues that you need to take into consideration before you begin the associate search and process. How to protect the associate and the senior doctor. Associates always feel that they are being exploited … that will never go away. However, the senior doctor is the one who has made it possible for the associate to even come in. You have to protect both sides, and we’ll show you how to do that. You get the Associate Profitability & Compensation Software to help you understand your associate profitability, and help you analyze your compensation issues. This tool will give you insights to the economics of the relationship, and will help you negotiate a good relationship between you and your associate. It’s something that’s often overlooked, but can really help patients connect and feel comfortable with you. Writing your own bio is no easy task, but we’ll guide you through it. This is brief (three or four short paragraphs), professional (focusing on schooling, honors, association and group memberships; service on boards and committees; speeches and publications), and personal (translating everything into patient-oriented benefits). I recommend a one-page document, either in color or black and white, that includes your photo. You can lay it out yourself in a word processor program, or have a professional do it for you. You can print it up yourself, or have a print store do it. I advise you not to talk a lot about dentistry in your bio, but you should include recent professional activities and their significance to your reader. If you find yourself resisting this personal promotion, remember that every year you take hundreds of hours of accredited CE courses, attend lectures, seminars, professional association and group meetings, participate in study groups, even serve on committees and task forces. All to improve your skills, increase your knowledge, and better serve your patients. So don’t be shy about publicizing your efforts! Just do it in ways that are meaningful to your reader. Take a look at your own background. With a few colorful words and professional presentation, you too can be thought of as THE well-qualified dentist in your area. And a good bio can lead to more referrals and better retention. 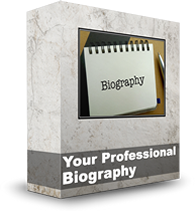 The entire Your Professional Biography Tutorial, valued at $149, is only $48! 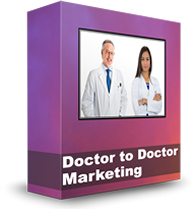 The entire Doctor-to-Doctor Tutorial, valued at $149, is only $68! One script is for after hours calls and can generate 1 to 4 new patients a month. The second answering machine script is for office hours when your team is overwhelmed with scheduling and financial arrangements and can’t properly handle another patient call. This video tutorial can be implemented today within 30 minutes and no cost! You would have to be brain-dead not to do it. 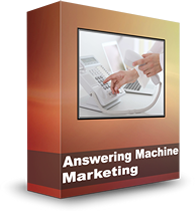 The entire Answering Machine Marketing lesson, valued at $198, with full online video tutorial and all five (5) FREE Bonuses, is only $96!